Bojan is an author for Widewalls. He is currently an undergraduate student at the University of Belgrade, majoring in English studies. He is particularly interested in English linguistics and culture. Bojan is also interested in Photography and Digital Art. 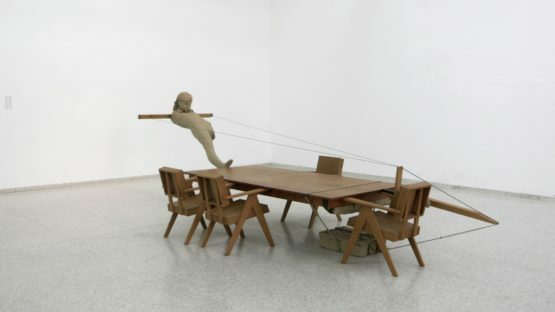 Mark Manders, born in 1968, is a Dutch artist, known mainly for his installations, drawings, sculptures and short films. Typical of his work is the arrangement of random objects, such as tables, chairs, light bulbs, blankets and dead animals. He is best known for his rough-hewn clay sculptures. He lives and works in Ronse, Belgium.